Michelle uses her crafting abilities to support these ministries. Michelle coordinates God's Caring Bees, providing encouragements, supplies and lessons where needed. God's Caring Bees is a ministry of City Light Church of Victoria. It is crafters — quilters, knitters and crocheters — serving missions and the needs in our community and around the world. This group has supplied knitted/crocheted dish cloths, prayer shawls and more for those in need. Besides being directly involved in Open Arms Ministry, Michelle (through God's Caring Bees) has provided hats created from old sweatshirts for distribution to the homeless this winter. Open Arms Ministry is an outreach to the youth on the streets of Victoria. Launched in January 2014 this ministry has seen some incredible successes in growing relationships with youth. Saturday evening street events featuring barbequed hot dogs and other donated foods provides the opportunity to establish a real relationship with hurting people; an opportunity to pray for them. 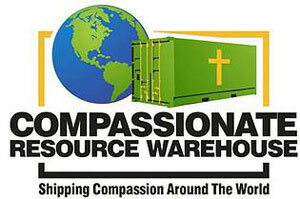 Michelle also provides services and supplies to the Compassionate Resource Warehouse both personally (along with other members of her church) and through God's Caring Bees.